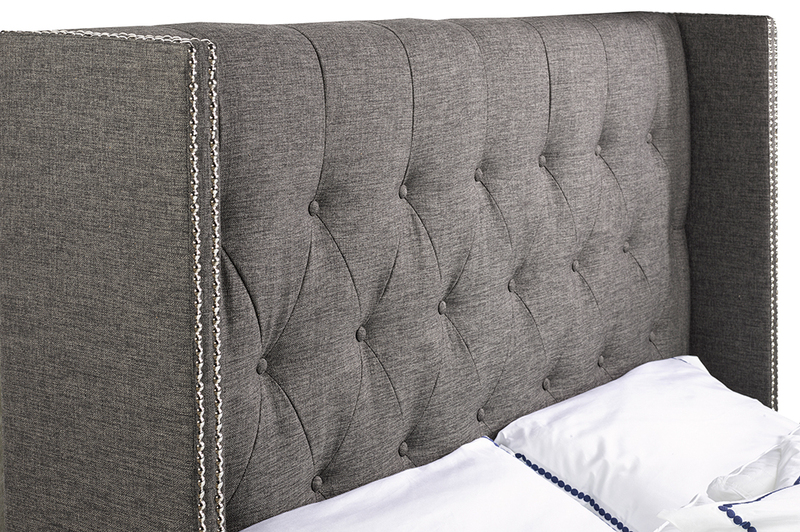 This modern wing-back headboard creates the perfect little corner to curl up to. 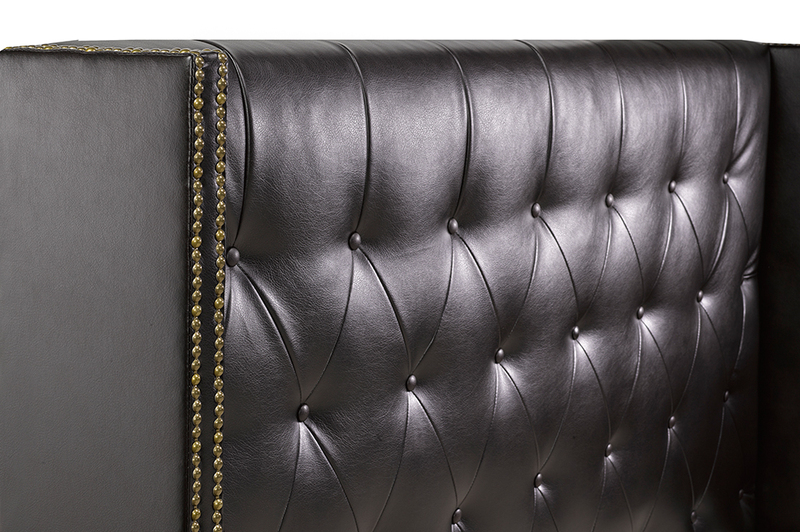 The double nail head trim and diamond tufted button design lends a luxurious feel. 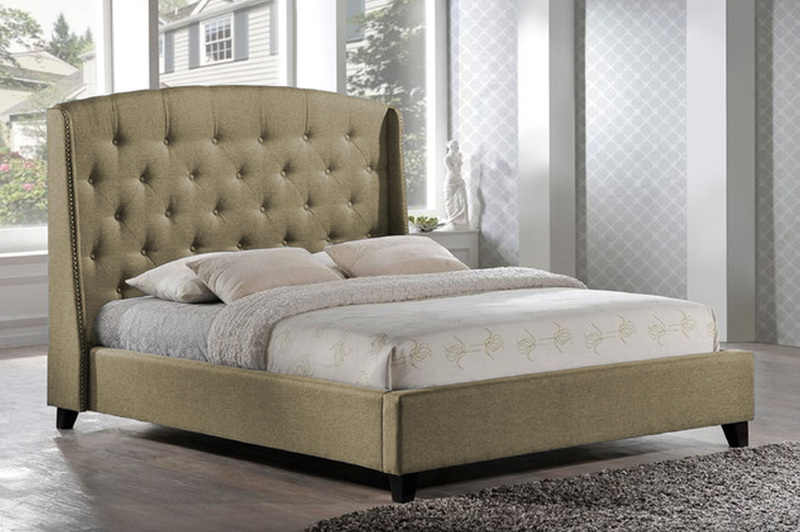 Transform the look of your master or guest bedroom with this elegant headboard, available in a choice of bonded leathers or linen-style fabrics. Slats included with bed. No box spring required. Me and my wife were very happy with the purchase we made at Furtado Furniture. More over, the service was amazing. Joe gave my lovely wife a rose and said even if we did not buy he would still give her one. Also the delivery service was good as well, the drivers took my bed to the room that I asked them to. If they had assembled the bed, we would of given 6 stars hehe. But we definitely recommend anybody to shop at this family furniture store. They make you feel happy after your purchase. 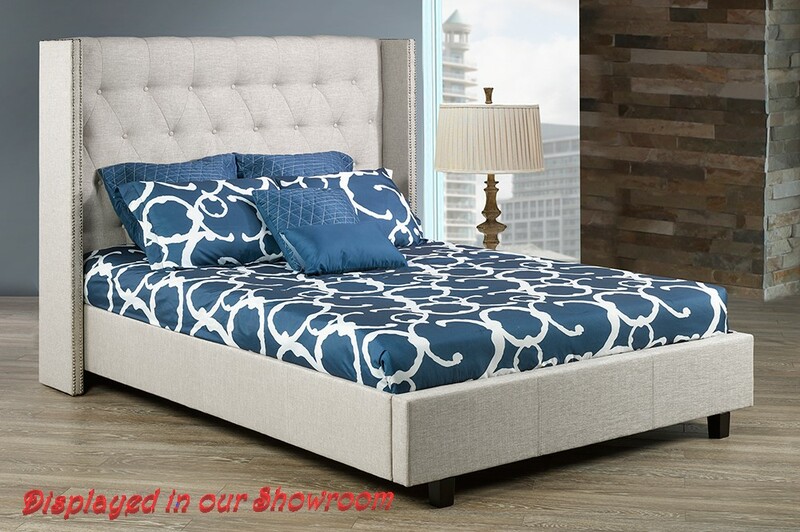 We found these guys on google and when we saw this bed for the price they had it, we called them in and asked why the price was so low. Joe said that they worked with small margins and specialized online. 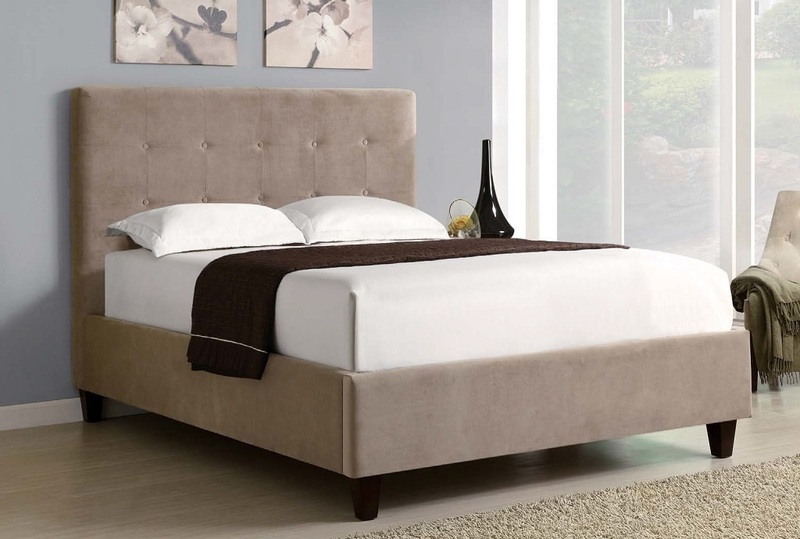 We were very nervous to order it because we saw the same bed in a big box store for $800 more. All we can say is when we got the bed we were very very happy. Whats funny was we bought this bed site on seen over the phone. Also the delivery service was amazing. 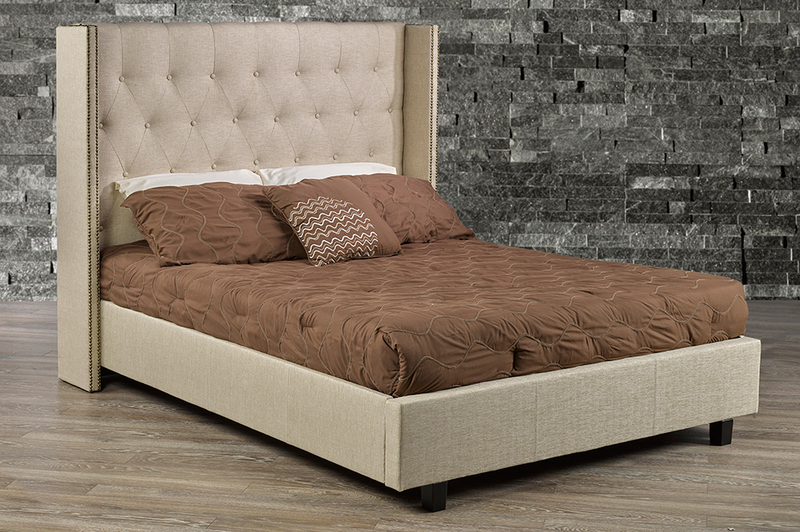 I definitely recommend this bed to anyone who likes an upholstered bed. Placed an order in store for a bed in Queen size at the end of August 2015 and was told to expect it in 7-10 days. After waiting over 10 business days, we called the store for an update so we could schedule mattress delivery for the same time. They said the bed would take a few more days. After 15 business days, we finally got scheduled for the bed to be delivered on a Saturday, so we scheduled mattress delivery from Sleep Country for the same day. 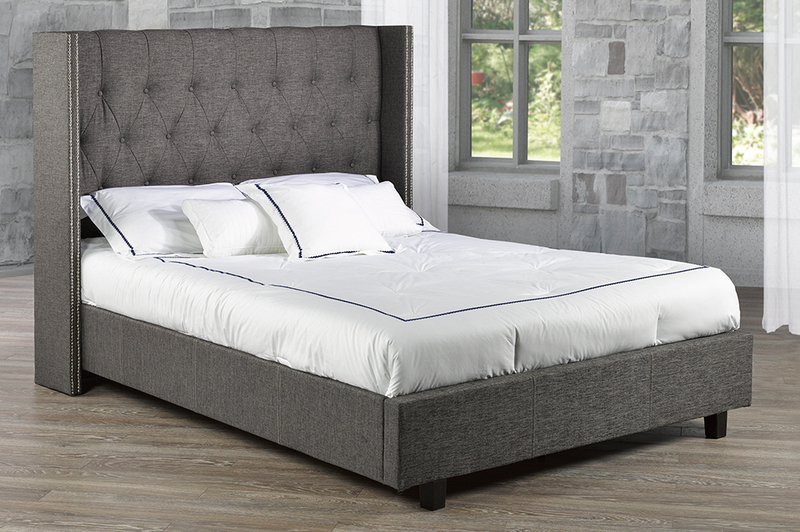 On the Saturday morning of expected delivery, Furtado Furniture calls and said the manufacturer delivered a King size bed frame. So it took another week for the correct bed frame to finally be delivered to us. During the additional wait time, we asked if they could either reduce the delivery cost ($65) OR throw in assembly for us ($50 value). Neither option was offered to us. Their response was there was not much they could do to compensate us because their margin on the sale is not much. It seems this business lacks motivation for customer satisfaction – they couldn’t even expense $50-65. I believe that after the error, and a month’s delay when the initial contract was 7-10 days, how much the store will or will not profit is not a reasonable explanation and not a customer’s concern. 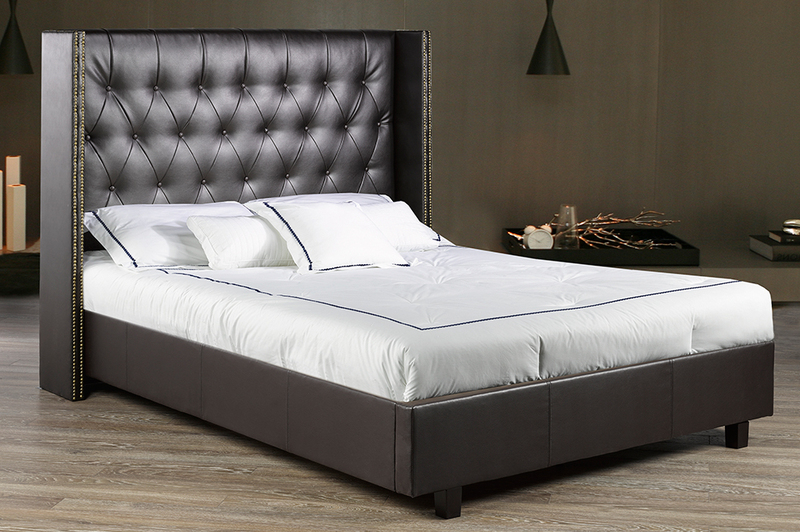 I purchased this bed without seeing it based on the ratings. 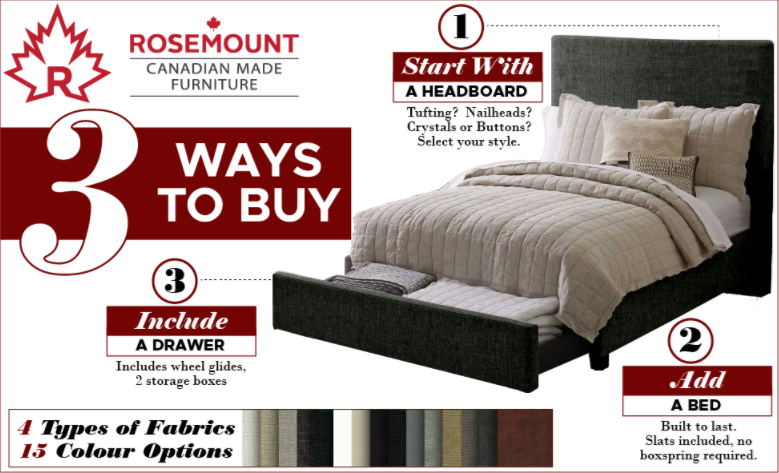 I wanted a Canadian made king bed which led me to Furtado. They delivered it in record time over the Christmas holidays which was really appreciated as I was days before my due date and needed a bed. They put a rush on it. I love love love this bed. The quality is fabulous and it’s nice and high so it feels even more luxurious. I couldn’t be happier and the price was great given the cheap import stuff out there for the sane or more. Service was absolutely flawless.